NOTE: Date must be in the form YYYY-MM-DD, like 2011-07-28. 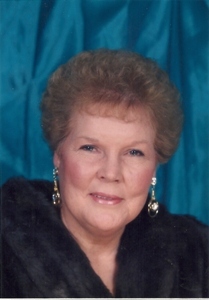 Nancy Gadberry of Springfield Missouri departed this life on Wednesday, July 28, 2011, in Springfield, MO. She was born January 4, 1939. She was the daughter of the late Idell Wheeler-Gadberry and Butler Gadberry. 2011-07-28 - 206 S. Main ST, Greensburg, KY - Photo from Cowherd & Parrott Funeral Home. The Adair County Hospital Board, governing body for Westlake Regional Hospital, Westlake Healthcare Team, meets each last Tuesday at 6:30pm in the board room of Westlake Regional Hospital, 901 Westlake Drive, Columbia, KY 42728. The board consists of members James Evans, Josh Harden, John Nall, and Bradley Irvin, and Russell Guy Perkins. The meetings are open to the public. Spectrum Health Partners listed the top provider salaries/contracts in their "Business Assessment of Westlake Regional Hospital, Columbia, KY, March 29, 2011." The report was released to the media last week following an Attorney General's Opinion on a complaint filed by Sharon Burton, Adair County Community Voice. Mrs. Melba Jean Jones of Greensburg, KY, departed this life on Tuesday, July 26, 2011 at the T.J. Samson Community Hospital in Glasgow, KY. She was 80 years, 3 months and 20 days of age. The funeral services for Mrs. Melba Jeanne Jones will be conducted at 10amCT., Friday, July 29, 2011 at the Cowherd and Parrott Funeral Home, 206 S. Main ST, Greensburg, KY, with burial to follow in the New Salem Cemetery. Bro. Landon Hadley and Bro. Wilbur Bonta will be officiating. Visitation is requested 4pm-9pmCT, Thursday, July 28, 2011, at the Cowherd and Parrott Funeral Home and after 7amCT, Friday until time of the funeral. There was good news in the employment office for the seven county area including Adair and the surrounding counties. All the counties were better off than one year ago and, for the month, only Casey County showed an increase, edging up by 0.1% in the month. The best news was in Metcalfe Co., where unemployment fell from 16.2% in May 2011 to 12.0% in June.Statewide the news was good, as well. Sometimes he delivered on horseback, when writer remembers joining him as he made appointed rounds from Glensfork to The Ridge. He was a member of a highly regarded North Adair County family, and a member of the Tabernacle Christian Church where he served as a deacon for several years. He was a US Marine veteran of World War II and will be accorded full military honors by VFW Post 6097. He and his wife had operated Grants Grocery at Neatsville for 55 years. He was an avid fisherman his entire life. Leland Grant, age 84 of Liberty Road,, Columbia, KY (the Neatsville Community of Adair County) passed away Wednesday, July 27, 2011 at 8:47pmCT at the Westlake Regional Hospital in Columbia, KY after several months illness. The funeral service will be Saturday, July 30, 2011 at 10amCT, at Stotts-Phelps-McQueary Funeral Home, 210 Greensburg ST, Columbia, KY. Bro. Raymond Martin and Bro. Eldon Rucker will be the officiating clergy. Interment in the Haven Hill Cemetery, 1276 Liberty RD, with full military honors presented by VFW Post 6097. The family requests visitation after 3:30pmCT on Friday, July 29, 2011, at the funeral home. To post your Freecycling ad, submit using any Contact/Submit button, for quick, win-win-win-win-win results. The Treece Family Singers, from Henry Co., KY, and Cumberland Gap, TN, will perform at the Russell Heights Baptist Church, 19 N. Bramlett ST, Columbia, KY, at 6pmCT, Sunday, July 31, 2011 as July's Fifth Sunday Night Singing. Bro. Darrell Treece and the congregation invite everyone to attend. CAMPBELLSVILLE, KY - Students with the Louisville Urban League Project Ready program visited Campbellsville University July 27 touring campus, eating lunch in the Winters Dining Hall, visiting Clay Hill Memorial Forest and asking various questions about the university. by Nancy PhelpsMy aunt Elizabeth Phelps is pictured standing in the doorway in the accompany photo of the bookmobile. She was well loved by the community and remembered for introducing reading to so many youth. (Received 2011-07-28 9:20amCT) - On July 26 at approximately 9pmCT, the Columbia Police Department arrested Barry McGaha, 45, of Columbia, KY, after a traffic stop. He was charged with possession of a controlled substance 1st degree methamphetamine and lodged in the Adair County Regional Jail by officers Charles Greer and Jamie Cole. On July 28, at approximately 12:33 a.m. the Columbia Police Department executed a search warrant at 323 Spring Drive. Arrested as a result of the search warrant was Brent Ollery, 50, of Columbia. He was charged with manufacturing methamphetamine and possession of a controlled substance 1st degree methamphetamine and lodged in the Adair County Regional Jail by officers Drew Conn and Bruce McCloud. The post-Civil War era brought about an explosion of post offices across the United States. With a need to dispense a greater volume of personal communication and growing mail order business materials, more mail was delivered to the average citizen than had ever been imagined possible. In time, post offices were rarely more than three miles from the homes of most Americans. Postmaster appointments were made by the United States Postal Department in Washington, D.C. and were usually politically motivated. It was usual for the postmaster to change with each presidential administration. This practice was modified in 1917, which is the reason we begin to see longer terms served by postmasters - thirty years and more not being unusual. Adair County had her fair share of post offices. Names changed for various reasons, discontinuation of service and re-establishment of same were common. County lines were ambiguous when it came to postal service, but Washington kept tract of a post office by the county in which it was housed. Some of the Adair post offices were in one county, then another, nothing changing but the physical location of the office. Locations of post offices were ultimately determined by the postmaster in the early days, typically housed in a local store. Absher, Basil, Belmont, Big Creek, Bliss, Breeding - began as Breeding's, Cane Valley, Cape, Casey Creek, Chance, Cherry Shade, Christine, Coburg, Coleman, Columbia - originally Columbia Court House, Craycraft, Crocus - originally Millersville, Cundiff, Dillingham, Dirigo, Dulworth, East Fork, Edith, Ella, Elroy, Eunice, Fairplay - initially Fair Play, Gadberry, Garlin, Gentry's Mill, Gifford - original name of Inroad, Glensfork- when incorporated the town was named Glenville, Gradyville, Heraline, Hogard, Holmes, Hovious, Inroad, Joppa, Keltner, Kemp, Kerns, Knifley, Little Cake, Lowgap, Matney, McGaha, Millersville, Milltown, Montpelier, Neatsburg, Neatsville, Nell, Ozark, Parson, Pellyton, Perryman, Pickett, Picnic, Portland, Purdy, Pyrus, Rexroat, Roy, Rugby, Sano, Santo - which preceded Sano by two years, Sparksville, Speck, Stotts, Sulphur Fork, Tampico, Tarter, Toria, Turk, Tyler - name changed to Little Cake, Vester, Victoria, Watson, Weed. Jeff Hoover recalls regularly meeting his grandfather, McKinley "Preach" Hoover, at the Glens Fork Post office for the completion of his route, after which there was a quick lunch, and then, he writes, "we would spend the afternoon on the Columbia square, with me running around town and him sitting around the courthouse with other men whittling and telling stories!" Ed, I just wanted to share some thoughts when looking at the photo of the old Glensfork Post Office. For many, many years, my late grandfather, McKinley M.C. "Preach" Hoover, carried mail out of the Glensfork post office. He would leave Columbia each morning, go to the Glensfork Post Office, then continue on to Crocus and other places, and usually got back to Glensfork about 11:30 a.m. or 12 noon each day. As a child, my parents would take me from our home in Jamestown to the Glensfork post office where I would meet up with my grandfather as he finished his route, then ride with him back to Columbia post office. After a quick lunch, we would spend the afternoon on the Columbia square, with me running around town and him sitting around the courthouse with other men whittling and telling stories! My recollection is that there were usually several folks sitting on benches in front of the post office or standing around outside talking each time I was there. I have great memories of the Glensfork post office and my grandfather and his connection to the post office. Olivia Parrott takes 1st in Pepsi Golf Tour; Gracie-Ann Parrott No. 1 in Southeastern Junior Golf Tour. Olivia Parrott and Gracie-Ann Parrott competed at the Rosewood Country Club, 520 Fairway DR, Lebanon, Kentucky on July 8, 2011, with the Pepsi Golf Tour. Olivia competed in the 16 - 18 age division and took 1st place with a score of 77. Gracie-Ann competed in the 10- 12 age division and placed 2nd playing 9 noles. Gracie then competed in the Southeastern Junior Golf tour at the Campbellsville Country Club, 3064 Hodgenville RD, Campbellsville, KY on July 19, 2011 and placed 1st shooting 42 playing 9 holes. Olivia and Gracie-Ann are the daughters of Walt and Deana Parrott of Greensburg, KY,granddaughters of Billy Dean and Jackie Coffey of Columbia, KY, and special nieces of Terry and Teresa Moore of Columbia, KY. Both are members of the Green County High School Golf Team. (CM Site ad): Is It Advertising or News? Social cost of closing rural post office far outweighs the pittance the USPS will 'save' shutting down rural institutions. Stranger 'praises' Ed Whitfield. Gives George Orwell Doublespeak Life Award for calling it post office closing hit list 'Expanded Access study list' to (drum roll): The United States Post Office! It occurs to this Wayfaring Stranger that the announcement of the possible shutdown of thousands of post offices across the country is closely akin to the story of the gentleman who dropped a dime in the hallway but looked for it in the kitchen because the light was so much better there. A Time to Praise Great Adair Countians. Charles Victor Sparks: The community continues to grieve. No one speaks of his him with another who knew him without a choke, without misty eyes, and always, an story about how he personally touched so many lives, in both big and little ways. Thoughts are now turning to fitting memorials and tributes. Dakota Meyer:: What tributes Adair and Green Counties have to tell the country how proud we are of Congressional Medal of Honor Dakota Meyer, whose name is already a household word in America? An who was claimed for a short time, by Austin, Texas (but the Austin American has updtated their story in the last day: See http://www.statesman.com/news/local/future-medal-of-honor-recipient-now-lives-in-1633907.html)? A street? A school? A locally made movie? BG James A. Williamson:And as we do, would it be a good time for Adair County to make a permanent monument to her first Congressional of Honor winner, BG James A Williamson: Son of Adair, Medal of Honor receipient? After all, it is significant that there are two Congressional Medal of Honor winners from one small town. He did not aspire to be any other body than Frank Wolford, and hence he had no model after which to pattern. Frank Wolford was sui generis, a diamond in the rough, and just a little different from all other diamonds. Adair Co. Judicial Center, 201 Campbellsville ST. Columbia, KY: Two (2) court case(s) scheduled to start in AdairCircuit Court. No (0) case(s) in Adair District Court. For latestupdates courts in 7-County Area, click on these links at the KentuckyCourt of Justice: AdairCounty. Also: CaseyCounty. Cumberland County. GreenCounty. MetcalfeCounty. RussellCounty. TaylorCounty.